I’ve been seeing this topic pop up more and more often. It was mentioned in speech at a large seminar event and an article I recently read. It’s an extremely relevant topic and is a key building block to a successful and happy life. It’s about understanding limits and ceilings. We all have an internal temperature which is set by our own thermostat. 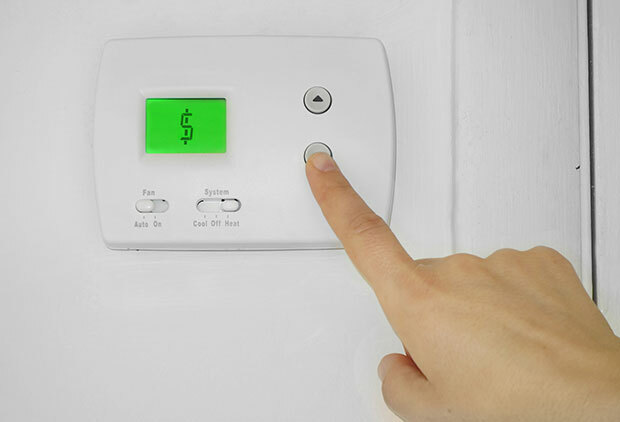 We have thermostats for all areas of our lives… health, relationships, money, careers, education. It’s what can allow you to have a meaningful and loving marriage, to devour every book or program on a new strategy, build massive wealth, and have a physically fit body and mind. But it’s also what can hold you back from creating your own business, from committing to that lifelong relationship, getting out there and running a marathon… even if you think you truly want those things. When our internal temperature is too low, we will do almost anything to raise the temperature to the comfort zone of our thermostat. And at the same time, if our internal temperature is too high, we will stop trying as hard, stop putting in the effort, sabotage our efforts… in order to match our comfort zone. Unfortunately, most of us don’t know what our thermostat is set to. We say we want to run a half marathon next year, but we are programmed to eat ice cream and watch TV. Our thermostat, our “comfortable zone” setting, is usually a result of external input as we grow and learn. And for most of us, we don’t realize that our thermostat is being programmed by others and that our actions we take are to keep our temperature in line with our thermostat. How are we programmed by others? From a young age, we are taught by our parents. They teach us how to walk, feed ourselves, talk, and dress. They also teach us how to treat others, how to be spiritual, and view the world. We are taught by our education system…. How to be a good employee, how to follow the path of least resistance, and the basics skills needed to work for corporate America. We are taught by Wall Street and the Government… how to accept the status quo, work hard for the promise of an average retirement, and to put our trust in a corrupt and crooked system. Our internal thermostat will sabotage us… bringing our temperate back down to our comfort zone. Let’s say you start that business and have great success and you suddenly have more money than ever before. And you start questioning what your family and friends are saying about you when you’re not around. So you subtly… maybe even subconsciously… stop growing your business. You don’t show up on time. You don’t perform as well for your clients. And your business dies a slow death until you are back at your programmed thermostat setting. We’ve all probably experienced this before or seen someone else go through this. Almost everyone has gone in for an interview for a job or position before. You usually know what that position will pay or have an idea of the salary before the interview. But what if right before the interview, you found out that the position paid 10 times what you thought! Would that change how you feel as to went into the interview? Would you question if you were worthy of the position now? Would your emotions be in turmoil? For most people in that situation, a job that pays ten times what they were expecting would be far outside their comfort zone. And that is because of their programming… the temperature setting of their internal thermostat. Another perfect example of how our thermostat programming can affect us is lottery winners. Almost 80% of lottery winners are worse off financially within 2 years of their big windfall. Because their internal thermostat setting won’t let them stay at their new temperature, their spending, investments, and poor financial choices returns them to their previous levels of financial comfort. So all of this leads to the obvious questions… How do you adjust your internal thermostat? How do you change the temperature in your “room”? Because the only way to permanently increase your wealth and change your temperature is to first reprogram your thermostat. Review your previous bank statements for the past 18 months and see what the average amount of money you have had in your account. How much money could you lose without it really affecting you? Is it $500? $5,000? Or $50,000? What is the average income or net worth of your closest 5 friends? Chances are, you will be within 20% of that number and it is a good indication of your thermostat setting. Now that you have an idea of where your setting is at… it’s time to work on changing that setting. Imagine the kind of life and wealth that you would like to have. Be very specific and don’t be shy, don’t set a lax goal. Go for that ultimate lifestyle. When will have you have this lifestyle? 1 year? 3 years? 5 years? How big will your house be and where will it be? How do you feel about this lifestyle? Are you able to help out your family and friends? Do you have new friends? And once you have this in your mind, write it out. Don’t type it… write it out… and be specific. Focus on where you are at right now. This is the bottom of your thermostat. The temperature is cold, the room is uncomfortable. Now focus on the new setting you just wrote down. This is the comfort zone setting of your thermostat. This is where the room is the perfect temperature. Visualize yourself being at this new setting. Being comfortable. This exercise should be done often. Once a day if possible and once a week at a minimum. Changing the programming of your internal thermostat is a process and takes time. You must be aware that there are external influences that are also trying to program your thermostat… family, friends, co-workers, news outlets, advertisers, politicians, teachers. You must protect and safeguard your mind and focus and control the settings on your thermostat. Another great way to affect these settings is to change the inputs. Surround yourself with people that have a higher setting on their thermostat. Study, follow, or learn from those that have the lifestyle you want. Get a coach or mentor that can help you focus. Find a partner that wants the same thing as you do so you can keep each other on track. Make a major change in your life such as a career change, relationship adjustment, or other event that is outside your comfort zone. And just remember, that which you focus on, you will get more of. Change what your mind focuses on and believe the law of attraction: Like attracts Like. How to PREDICT your future wealth… Is This the Guaranteed Way to Wealth? Wanna be a Millionaire? You need this… Change or Die!